Barnestorm Software offers easy-to use Electronic Health Records (EHR) for health and human services providers. We can have you trained and using the software in days! A small installation fee and low set monthly fee based on the number of users, so we don't take a percentage of your profits like many other vendors. The forms in our system look exactly like what you're used to, so your staff doesn't have to learn anything new! We fill in the DHHS Person-Centered Profile (PCP) for each patient automatically! Division of Mental Health, Developmental Disabilities and Substance Abuse Services (DHHS) standard forms. DHHS forms fill in automatically so you don't have to copy and paste on grids! Record your employee/client encounters quickly and easily. 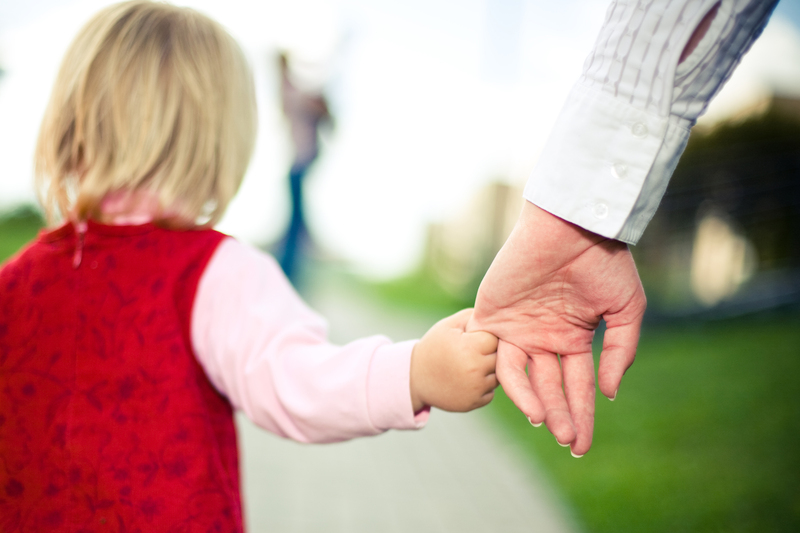 Integrated DHHS and Medicaid forms so you don't have to worry about compliance. Authorization Tracking allows you to easily see the difference between how much time you've used and how much you're authorized for. Set hours or visits for any time frame (week, month, or year). Set the authorization expiration date. Find out how many authorized hours or visits you've used and how many are left. Get a list of expiring authorizations before they expire. We charge a flat fee for services, so we don't take a percentage of your profit like many other vendors. Batch electronic billing for all your patients at once, so billing is fast and easy! Connect directly to Medicaid for billing, remittance, and eligibility. We build batch billing for MCOs as well, so you can build all your claims and send them to the MCOs all at once! Our friendly support is our best feature! 98% of calls and chats are resolved in 10 minutes or less! All of our staff are located in North Carolina and have a minimum of 7 years of experience in EHR. So the person who answers the phone can actually answer your question! Record your client encounters quickly and easily. DHHS forms fill in automatically from your PCP--no copying and pasting needed! Scan and upload all paper charting to patient folders in the Cloud. So you never have to worry about losing your records or carrying around pounds of paper. All your offices can access the system, view client records, and create new forms. Employee reports include detail of daily time. View visit and time statistics in several categories. Summary reports for payroll and export to major payroll vendors like ADP and PayChex. Track authorized hours and services on each client. Accounts receivable reports include detail of billing paid and balance forward statements. View your totals for month, quarter, and year by ledger categories, 30-60-90 by patient or payer, and month-to-month balance totals. 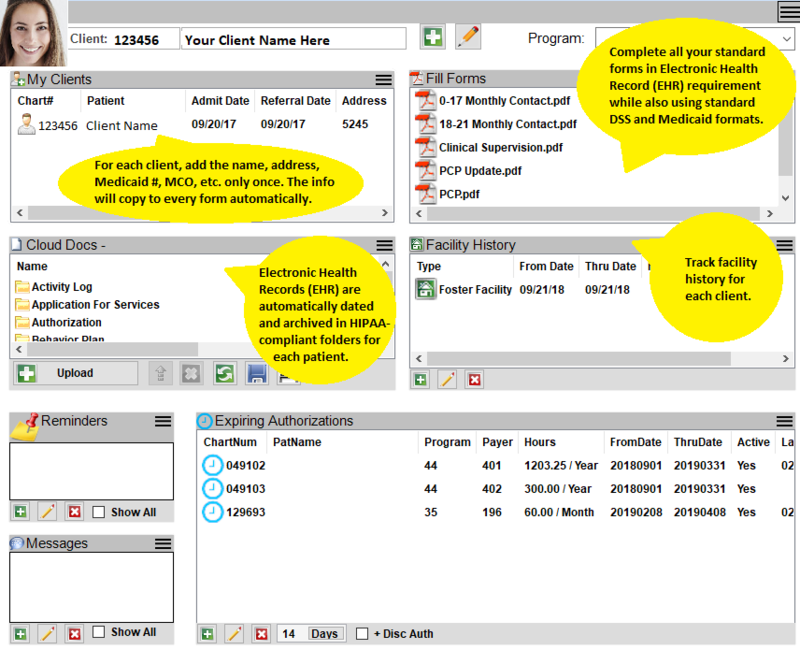 Transmit HIPAA-compliant claims in batches to Medicaid. Verify patient eligibility in batches that can be created and sent to EDS in seconds. Quickly identify patients with Medicaid eligibility issues and correct the issues one time in the system. Payer reports include detailed ledgers of charges by patient and date statistics. Post payments automatically from the Electronic Remittance Advice. Electronic batch billing for many provider types, including: Behavioral Health, Mental Health, Foster Care, per diem, Personal Care, Respite, Community Inclusion, Supportive Living, HRI, CBI, Group Homes, CAP/MR, CAP/DD, CAP/DA, and more. Transmit and receive eligibility verification for all active patients in seconds. Connect directly to NC Tracks to transmit batch claims electronically.